MEET MARK and KELLEY SANNITA - Mark has been a licensed Real Estate Agent since 1995 and earned his Managing Broker's license in 2004. Mark holds the designation of SFR (Short Sale & Foreclosure Resource), attended CDPE (Certified Distressed Property Expert) and continually expands his knowledge and professionalism through continuing education and industry seminars. Mark provides the highest level of professionalism, integrity and commitment to the individual real estate needs of all his clients. Mark and wife Kelley reside in St Charles with their cats and dogs. When Mark is not at work or spending time with his 4-legged companions, you will find Mark at a Cubs games or spending time with friends - many of them past or current clients. Kelley can usually be seen at the local Kane County Flea Market scouting for deals! Thank you to everyone that continues to entrust their most valuable possession to Mark Sannita Team. 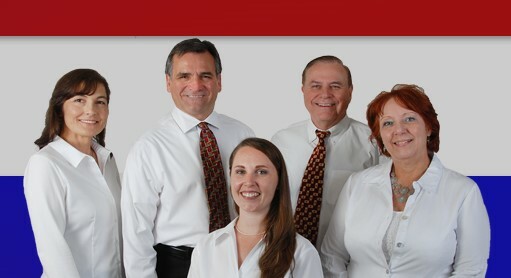 We strive to earn your trust and confidence with honesty, integrity and professionalism. We not only want to meet your expectations but exceed them! MEET RACHEL BIDDLE - Buyer's Agent for the Ward-Sannita Team - After four successful years in Marketing and Client Care, she decided to take that insider knowledge and apply it to helping buyers navigate their next home purchase. Rachel has a BS in Paralegal Studies and applies this knowledge to each contract she puts together for her clients. Rachel has a charming young son that is a fun addition to our office whenever he is available to stop by and visit. MEET KEN WARD and KIM WARD - With over 30 years'Â experience working with Ken Ward, Kim brings invaluable Real Estate experience to Marketing and Client Care. Always upbeat, positive and committed, Kim and Ken view each day as a new opportunity. Ken dedicated his efforts to providing quality service to his clients; moving over one thousand families in the process. After earning his Broker's license in 1978, he then owned, opened, staffed and managed a successful RE/MAX office. From 1993 to 1996 Ken was elected by his peers to serve as a director of the Fox Valley Association of Realtor, now the Realtor Association of the Fox Valley. Ken dedicated his career in providing quality service to all his clients. Ken knew that buyers and sellers have different needs and kept this in mind when he assisted well over 1,000 families making sure their expectations were met.